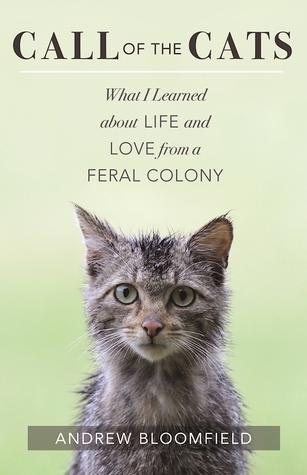 From Goodreads ~ When aspiring screenwriter Andrew Bloomfield moved into a bungalow in Southern California, he soon discovered that he shared the property with a large colony of feral cats - untamed, uninterested in human touch, not purring pets in waiting. But after a midnight attack by predators that decimated yet another litter of kittens, Bloomfield decided to intervene. He began to name and nurse, feed and house, rescue and neuter. Drawing on his time living in Asia among spiritual teachers, he takes us on the contemplative, humorous, and poignant journey of saving these cats, only to find it was they who saved him by revealing a world of meaning beyond his unrealized Hollywood dreams. I volunteer with a couple cat organizations here in Toronto and did a TNR (trap-neuter-return) workshop earlier this year. Though I have no experience taking care of a cat colony, my friend, Trish, has for years and I tagged along with her last year as she replenished the food in a couple colonies here in Toronto. So that's why this book caught my eye. The author was sharing a house with a couple friends in an area where there was an abundance of raccoons, coyotes and other wildlife. They also discovered that there was a large colony of feral cats living in their and the neighbours' yards. 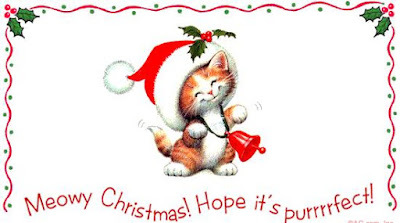 Eventually after hearing and seeing many kittens and cats being killed, the author decided to help them. He would sit in his back yard and scare away predators, feed the feral cats and took in a couple of the kittens as pets. He also realized that by having the cats neutered, there would eventually be no more kittens and the colony would eventually decrease as nature saw fit. Despite having not a lot of money or job prospects, he took it upon himself to have the cats neutered and continued to feed and take care of them. He had gotten attached to them, both the inside and outside cats, and gave them names. The author is spiritual and had spent time travelling around Nepal seeking enlightenment and life lessons. While I liked the stories about his experiences taking care of the cats, I found it odd when he would go off on a tangent about his travels, give us history lessons about religion and what it all meant to him. I have no issue with him being spiritual but it felt like I was reading two different books that had been meshed into one. As a head's up, the author does get graphic in his descriptions of kittens being dragged off and killed. From Goodreads ~ Lexie Ivy loves her little house in Cape Breton, her big family and the endless sea that surrounds her. She wouldn't trade her life for anything but at thirty she's starting to feel like something's missing. Enter Adrian, a charming backpacker who takes a wrong turn at the U.S. border and ends up on Lexie's doorstep, and Joss, an irresistible man who disappears just as quickly as he arrives. Lexie s peaceful life has suddenly become more complicated than she ever imagined. Lexie is a librarian living in Glace Bay, Nova Scotia, with her cat, Sophie. At 30, she is the oldest daughter of four and is always there for her family and friends. It seems like everyone is living the lives they want except for her and she's ready for her turn. Adrian has been traveling and ends up in Glace Bay. He has no place to stay so Lexie invites him to be her roommate ... she can use the money and the company. She starts to have feelings for him and then he disappears. But she carries on like always. When Lexie goes on a camping trip with a friend, she meets Joss there. He works in Alaska and is visiting a friend in Cape Breton. Lexie and Joss are drawn to each other right away and spend most of the week together. He is going back to Alaska and makes this clear so they enjoy the time they have. I liked this story and the characters. I liked the writing style ... it's written in third person perspective in various voices including Lexie's, Adrian's and Joss', depending on where the focus was. I lived in Glace Bay for grade eight in the mid 1970s, right around the corner from where Lexie does community theatre. The story happens in the 1990s and I had a good sense of the people and characteristics. It was nice to read a book about people from "back home". They were playing the Georgia Swarm tonight in their home opener of the 2018-19 season (they won their first away game). We got there early enough to watch the Rock warm up. Before the Toronto Rock game this evening, Gord, Trish and I had supper at Kellys Landing Bar Grill Hub (York Street/Front Street). This year they are the official restaurant of the Toronto Rock ... we'd received a discount card with our season tickets that gives us 10% on food. All our meals were delicious and we'd get them again. I had Maple Cider Roast Chicken (minus the veggies). From Goodreads ~ Getting engaged is supposed to be a fun, exciting time in a girl's life. But things are never that easy for Slash and me. Instead, someone is threatening to expose Slash's past - a past so secret, even I know very little about it. Before I can get used the weight of Nonna's antique ring on my finger, he's on his way to Rome ... and we're farther apart than we've ever been. Still, I have no intention of sitting at home and letting him take on the Vatican by himself. With a little expert-level hacking, I learn Slash is keeping secrets from me. Big ones. Dangerous ones. In fact, the more I dig into Slash's past, the more I discover things about him I never knew - things that eventually pit us against each other. From Rome to the Amalfi coast to the highest levels of the Vatican, we both race to discover the truth. No matter what I find, we're officially a team now, so I won't let him face this alone. Even if I don't know if our relationship can survive it. Lexi is a master hacker and director for X-Corp, an intelligence and security company. She recently got engaged to Slash, who is a government agent and fellow hacker. Slash is lured to Italy because of something he did in his past. He can't tell Lexi what it is as it's top secret. Of course, she can't stay out of it so after hacking a bit, she heads to Italy to help him deal with whatever it is. As Lexi and Slash travel across the country, they become involved with members in the Catholic church and discover that one of the priests may be Slash's father (he was found abandoned as a baby in a church). 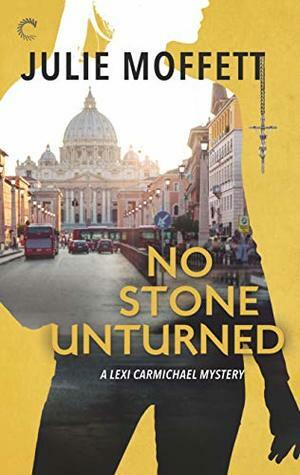 Though this is the eleventh (and latest) in the Lexi Carmichael series, it works as a stand alone. If you want to know the background, though, you should read the others. I've like the series and have read them all. It is written in first person perspective from Lexi's point of view and third person perspective from Slash and other's points of view. I liked the writing style and there was humour. In addition to the usual hacking, there was lots of adventure around Italy. I missed the interaction she's had in the past with her best friends Basia, Elvis and Xavier (they were barely in the story). It's been interesting to watch Lexi grow from being a geek with just one friend, no life and no social skills to not only having close friends, a fiancé with whom she is now living with, but also confidence. I went to bingo for many years, sometimes as often as weekly. Gord and I used to go fairly often ... we went this time last year and had fun and meant to go sooner but life got away from us. After Gord and I visited the aquarium, we went to the Rec Room. It is a huge space (over 40,000 sq. feet) with games, entertainment and a restaurant/bar with a patio in the warmer weather. It was one of the few places open today (Christmas Day) and got quite busy by the time we were leaving. It got quite loud with everyone playing games. Gord and I went to Ripley's Aquarium of Canada this afternoon. This is the fifth time I've gone since it opened in 2013 and it's a fun and interesting spot to spend a couple hours. 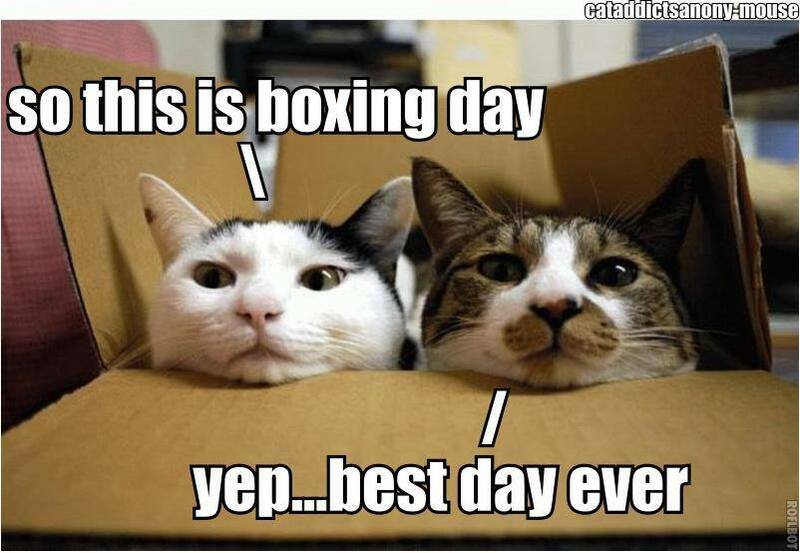 We've gone a couple times on Christmas Day. More than 13,500 underwater creatures from around the globe are on display. Exhibits include Tropical Reefs, Atlantic and Pacific Ocean Habitats, Jellyfish, Seahorses, Stingrays, and Great Lakes exhibits and much more. The aquarium holds 5.7 million litres (1.5 million gallons) of water. From the majestic Kelp forests of Canada’s Pacific Northwest to the spectacular colour and abundant life of a Tropical Indo-Pacific reef, to the frigid Baffin Sea to the flooding waters of the Amazon, the aquarium covers all waters of the world. Gord, my catch of the day! My Roti Place recently opened on King Street W (at Strachan Avenue) and I stopped in today for lunch. I'd been to their Queen Street W/Cameron Street location in the spring. I love love love chicken rotis. Here you "build your own", choosing the roti, filler and sauce. I got a chicken (it's white meat) and potato roti with mild-medium Mom's Classic Curry sauce. The sauce was good and I'm glad I ordered mild-medium sauce as there was some kick to it. Like the last time, I found there was a lot of sauce (too much for my liking). Before seeing Die Hard at the Cinesphere at Ontario Place, Gord and I had supper this evening at the Local Public Eatery (in Liberty Village). I ordered Mom's Chicken Pot Pie. It was freshly made for me and hot hot hot. It was good and filling and I'd get it again. From Goodreads ~ Lisa lives for her daughter Ava, her job, and her best friend Marilyn, but when a handsome client shows an interest in her, Lisa starts daydreaming about sharing her life with him too. Maybe she’s ready now. Maybe she can trust again. Maybe it's time to let her terrifying secret past go. Then her daughter rescues a boy from drowning and their pictures are all over the news for everyone to see. Lisa's world explodes, and she finds everything she has built threatened. Not knowing whom she can trust, it's up to her to face her past to save what she holds dear. Lisa is a single mom raising teenage daughter, Ava. She's got a good job but she keeps a low profile. Her best friend is Marilyn, who she works with. Lisa is attracted to one of her clients and it seems like the feeling is mutual. In the meantime Ava is turning 16. Though she has a boyfriend, she has been messaging on Facebook with a fella who she loves and apparently loves her. They haven't met yet (!!) but have arranged for that to happen next week ... and Ava is going to do anything she has to make sure it happens. In today's world, with all the warnings, I found it hard to believe that a savvy 16-year-old would fall for something like this. When Ava saves a boy from drowning, Ava and Lisa's pictures are plastered all over the news and Lisa's secret finally catches up with her. This story was really convoluted. I was buying into the potential "whodunits" but when the real "whodunit" was revealed it was ridiculous. Seriously? No way could this possibly happen! The ending was a disappointment. I thought the writing style was okay. The book jumps back and forth in time and it took me a bit to get the rhythm but I was fine with it once I did. I found the book a bit confusing at first, though. The author was telling us about Lisa's life today but seemed to be trying to be coy when she jumped to the past to give us the background on her secret past. I was happy when the secret past was finally revealed as I didn't have to keep wondering what the heck did Lisa do that was so terrible. I didn't find the characters likable. As a head's up, there is swearing, child abuse and violence. This is the first book I've read by this author. Though I wasn't crazy about it and thought the ending was absurd, I'll give this author another chance and read another of her books. I had lunch today at Burgers n’ Fries Forever (Ossington Avenue, south of Dundas Street W). They've been open for a few months. I ordered the daily special ... original burger (minus the onions and lettuce), fries and a pop. It was a great deal for $10! I choose the garlic aioli as my dipping sauce (it was definitely garlicy). It was a good burger, though the patty was surprisingly kind of cold. The fries were piping hot so maybe the burger had been waiting for the fries? I could taste chili powder in the burger so maybe that what's in their BFF sauce? I found it a bit overpowering so would pass on it next time. 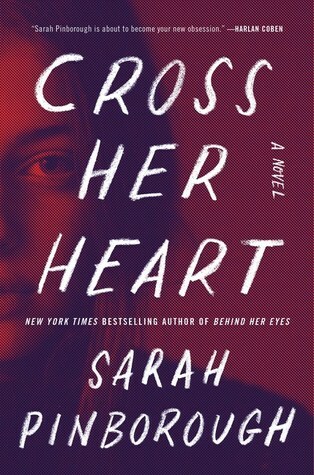 From Goodreads ~ With an absent father and their mother constantly ill, sisters Darcy and Carly Nolan were forced to rely on each other growing up. While unpredictable Carly bounced around, her life's direction uncertain, Darcy fell in love, went to university, and moved to another province. When nineteen-year-old Carly unexpectedly kills herself, Darcy is left to carry the burden of their childhood memories forward alone. The pain of these memories overwhelms Darcy as she struggles to unravel her own feelings of guilt, and to make sense of her sister's death - as an act of destruction, of misery, but also of love. Darcy and Carly are being raised by a single mother in Toronto (their father abandoned the family when Carly was still a baby). Their mother's income as a waitress doesn't bring in a lot of money so the family doesn't have a lot. When their mother isn't working, she is snappy and hard on her daughters. Darcy, as the older sister, has to take care of her sister often but they are so different ... Darcy is more down-to-earth and responsible whereas Carly is more of a free spirit. They have an older cat-rescuing neighbour they call Papi (they adopt him as their grandfather) who looks after them when their mother isn't around and he provides some normalcy in their lives. When Darcy moves out of the house to go to university locally, she feels bad about leaving Carly behind but she does what she has to do for herself. She and Carly talk and/or visit every day. This continues when Darcy follows her boyfriend, Patrick, to Calgary where they both go to school and eventually find work (Darcy as a teacher). Then Darcy gets the call that her sister has committed suicide. That destroys her world and she has a hard time coping. This is the second book I've read by this author and I liked the writing style. It is written in first person perspective from Darcy's point of view. It jumps around back and forth in time but I found it fairly easy to figure out what the time period was given the content. As a head's up, there is swearing. It's a depressing story and while I can't say I liked the storylines (none were happy), it did keep me interested. There aren't really any likable happy characters (except perhaps Papi but he was still mourning the death of his wife who had died many years before). Darcy had no support and was trying to do the best she could with what she was given. 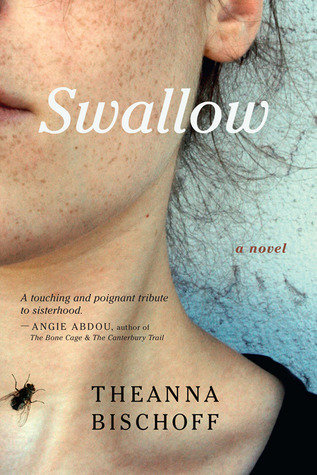 I'm assuming the title refers to the reference in the book that sailors, who often had to go away for long journeys, had tattoos of swallows. Swallows apparently symbolized hope for their safe return home, back to those they loved. From Goodreads ~ Do you spend more time worrying about problems than solving them? Do you let unexpected difficulties ruin your day and do "what ifs" keep you up at night? The Four Faces of Freaking Out--and their Flipsides How to accept what you can't control Productive Helpful Effective Worrying (PHEW) The Three Principles of Dealing With It And much more! I have read a couple books by this author. She gives good advice in an unconventional manner. 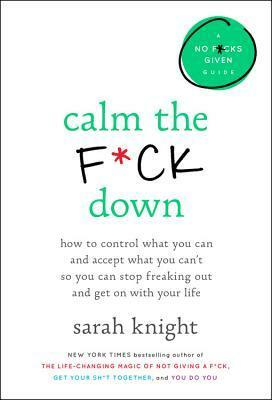 Choose your adventure: when sh*t happens, how will you calm the f*ck down and deal with it? There are lots of examples ranging from what should/could be considered minor to extreme and suggestions on how to deal with them. I liked the writing style. It is amusing and sarcastic. Yes, there is a lot of swearing but you figured that out by the title, right? From Goodreads ~ Twenty-nine-year-old Natasha Bell went for an evening jog, just like any other night – except now no one knows where she is. Not her sister, Abby – eighteen, eight months pregnant, and without a game plan. 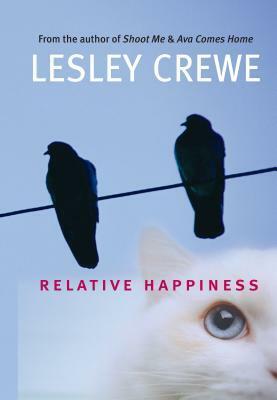 Not her childhood sweetheart, now ex-boyfriend, Greg, an introverted academic who could never bring himself to commit. Not her best friend, Josie, a newlywed, born-again Christian, with whom Natasha recently had a falling out. And not detective Reuben Blake, who thought this case would be open ’n shut – a quick way to prove himself and move up the ranks. Missing persons statistics suggest Natasha’s ex is the primary suspect but what about the possibility of a stranger abduction? Or the possibility that Natasha left voluntarily or took her own life? What about Natasha’s mother, who took off eighteen years before her daughter’s disappearance? As days stretch into months and months stretch into years, the evidence that emerges seems only to complicate the picture more. 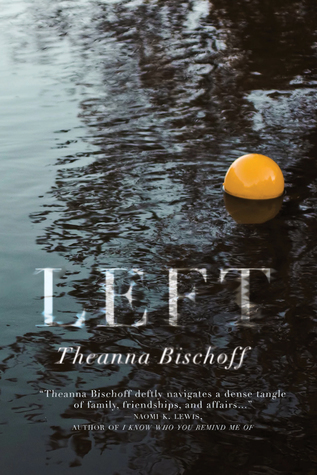 "Left" explores the ways tragedy and secrecy erode and warp people’s psyches and their bonds to one other. What secrets might Natasha have been keeping – and, for that matter, her friends and family? Natasha is a 29-year-old nurse in Calgary, AB. Since high school she had been dating Greg. She's ready to get married and start a family but he isn't so she has broken up with him. Her 18-year-old half-sister, Abby, is pregnant and will be having her baby anytime. Abby's parents have kicked her out of the house so Natasha takes her in. Natasha's best friend is Josie, who became a born-again Christian when she married Solomon, a born-again Christian preacher, last year and they are trying to get pregnant. Natasha seemed to have a full life ... why did she disappear one night when she was out jogging? This book is about all those who were "left" behind when Natasha disappeared and how they dealt with it as the years went by with no word from her. This is the first book I've read by this author and I enjoyed it. It is written from many different viewpoints over different time periods. It is first person perspective when it is Abby speaking ... it's like she's talking to Natasha and keeping her up-to-date on what's been going on. It is third person perspective from the point of view of the other characters including Josie, Greg, Jason (Josie's twin brother), Rueben (the police officer investigating Natasha's disappearance) and Cam (the father of Abby's baby). I like the writing style and it kept me interested to find out what happened to Natasha. I was okay with the continually shifting perspectives and bouncing around in time. As a head's up, there is swearing and adult activity.